Making a Barbie-sized beanbag chair is a simple way to create a piece of furniture that will fit a Barbie-sized doll. 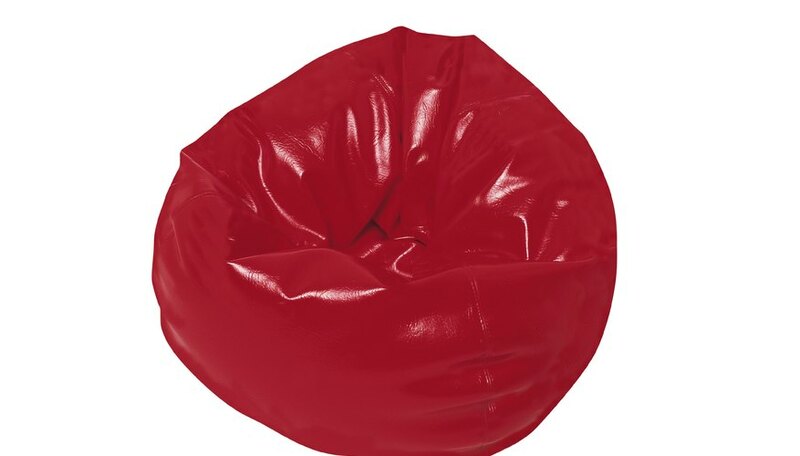 Traditionally, a beanbag chair was made out of vinyl for durability. The vinyl fabric created an iconic look with bright colors, shine and a faux leather appearance that is still common with modern beanbags. Most fabric stores have remnants of designer or upholstery fabrics in bright colors and with large graphic prints that you can use to make your doll beanbag chair look authentic. Make a ball template, using a ball that is 6 inches tall. Wrap a piece of string around the ball, dividing the ball in half. Tape the string to hold it in place at the top and bottom of the ball. With the top of the ball pointing upward, measure around the fattest part of the ball from string to string and divide by three. Repeat for both halves. Wrap string over the top and bottom mark and over one of your dividing marks on each side of the half. Tape your string to the ball. You will end up with six identical sections. Slide a piece of paper under the strings of one section and draw out the pattern. Cut out the pattern and pin it to your fabric. Cut out six identical pieces. Pin two pieces face sides together from point to point. Place a new piece face sides together with either sewn piece, and sew from point to point. Continue until all six pieces are connected in a row. Trim the fabric near the points and ease the curves with small cuts along the sewn seams in the allowance area. Place the two open sides face sides together. Sew from the point 2 inches toward the center. Repeat for the second side of the seam. This will leave a 4-inch opening in the middle. Ease your seams and turn the beanbag right side out through the opening. Fill the bag 3/4 full with hardened corn seeds. Bring the seam together with your fingers and stitch the opening closed with a cross-over stitch, using a needle and thread. Use a different color for each piece to make a bright beanbag.